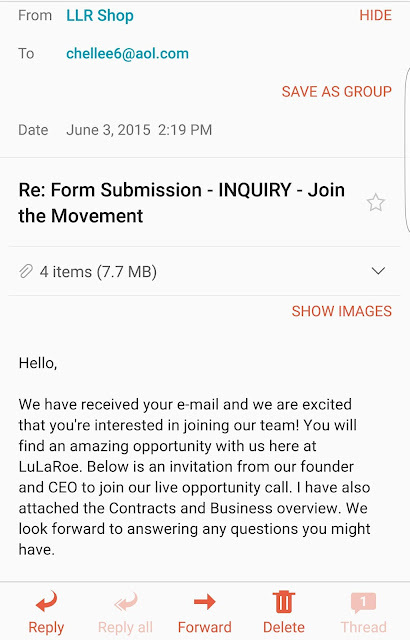 #LuLaGlam Intro - I'm FINALLY becoming a LuLaRoe Consultant!!! 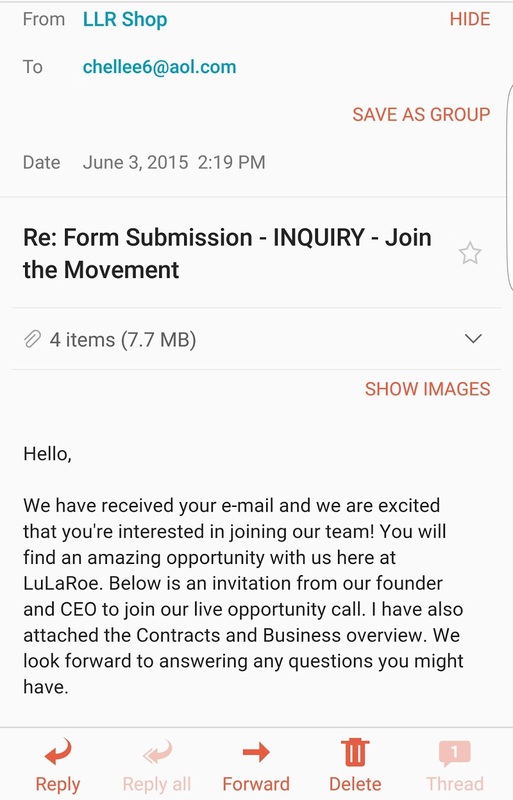 I'M BECOMING A LULAROE CONSULTANT!!! You guys, I am SO excited!!! And when I say I've been waiting a LONG time, I mean like nearly a year. This is the Cassie I bought to match my daughter in April/May 2015. Anyway!!! I'm excited I FINALLY get to be a part of this company! I've been sharing my LuLa outfits on my Facebook and Instagram from the beginning. I think anyone who really knows me knows I'm OBSESSED with this brand! My very first AMELIA! One of my favorite things I've ever purchased EVER! What took so long, you ask? Well, to be honest, it was MONEY. Joining this company is SO different than joining any other business you can work from home. It's not like Younique (which I also do) or IT WORKS or things of that nature. It's not just a $100 fee to join. It's actually THOUSANDS AND THOUSANDS OF DOLLARS to join in the LuLaRoe madness, and my husband was NOT feeling it. He didn't want to put out the money - because he didn't understand it. It's leggings! He didn't even know what leggings were! LOL! But after a year of seeing me order these clothes like crazy and wear the clothes and be so happy in them and sharing my love with everyone (and not to mention we have a child that's about to start at a really elite private school in the fall so every dollar will help!) he FINALLY decided to let me join! And honestly, he's just as excited as I am!!! He can't wait! He's totally on board and helping me with everything which makes me so freaking happy! This photo is from last August, but I still love this look! This is a LuLaRoe Perfect Tee with a pair of LuLaRoe Leggings. 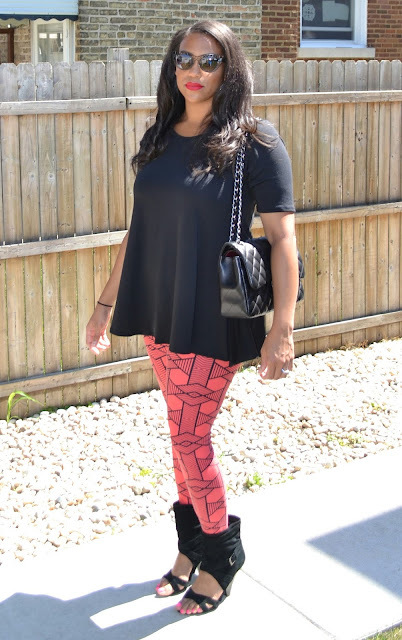 Who says leggings can't be dressed up?!?! So, soon I'll be sending out invites to everyone I know to join my Facebook Shopping Group - LuLaRoe Michelle Lee - #LuLaGlam with The Glam Mom. I hope those of you that I add will stick around and that those of you who are interested will JOIN!!! And ADD YOUR FRIENDS!!! I love this brand. It makes me so happy and I'm SO EXCITED to share it with EVERYONE!!! I just need some support. And also some encouragement because I'm actually REALLY SCARED! Starting your own business is a huge undertaking and I hope I don't fail! Seriously. And, I'm definitely not giving up The Glam Mom! I'm going to MERGE the two when it makes sense to do so. Like with this post! So, I hope you'll join me on my new journey. Wish me luck! And, SHOP WITH ME!!! How exciting! Congratulations! I've never heard of this, but I'll have to check it out! Those outfits are cute! I'm so glad you found something that you are passionate about and are able to work with the company as well! I feel like that's everyones dream. Congrats!! It's so easy to sell something when you LOVE it, I feel the same way about my boutique and it gets my so excited :) It's not really selling, it's just sharing! i JUST got my first pair of black ones recently and I am obsessed! Good luck to you!! Super exciting! Good luck on this new venture, I'm sure you'll do well since you obviously are passionate about the brand - that's half the job! Congratulations! My cousin is doing this and I've been super curious about the brand. I'll have to check it out! Why Is NOT Yelling SO Hard???? ?